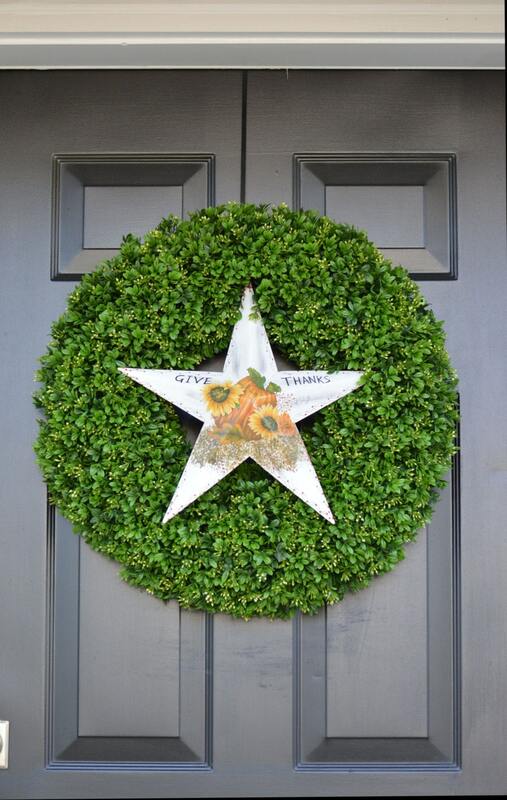 This gorgeous 22 inch artificial boxwood wreath is adorned with a removable "Give Thanks" 15 inch metal star decoration. 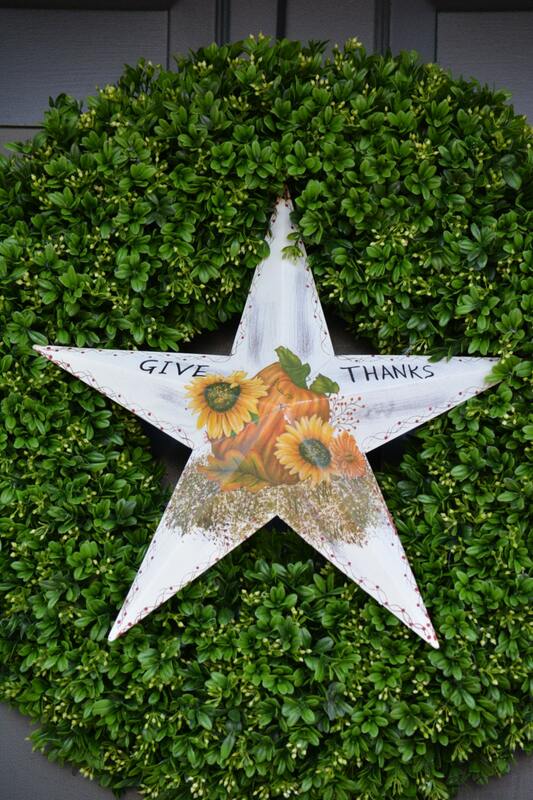 What a way to welcome Fall and your Thanksgiving dinner guests! 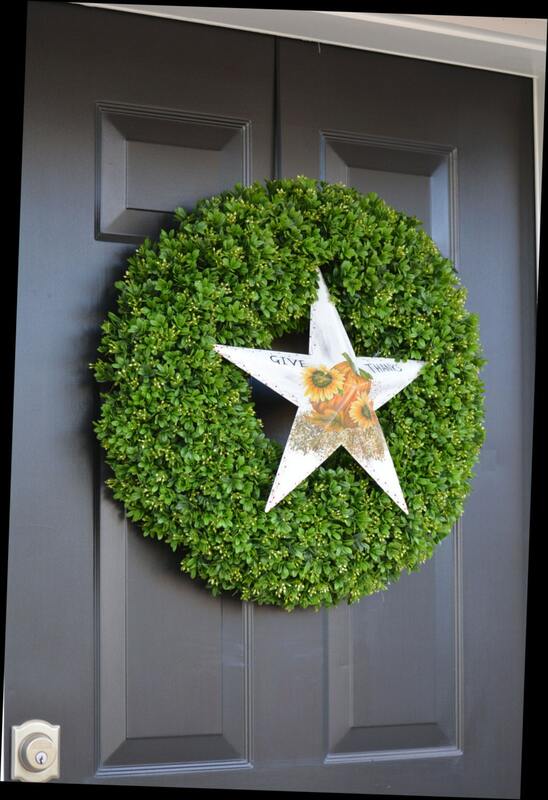 The best part is that this decoration is removable and you can use my fabulous boxwood wreath for Christmas and of course, year round. Now that's value! 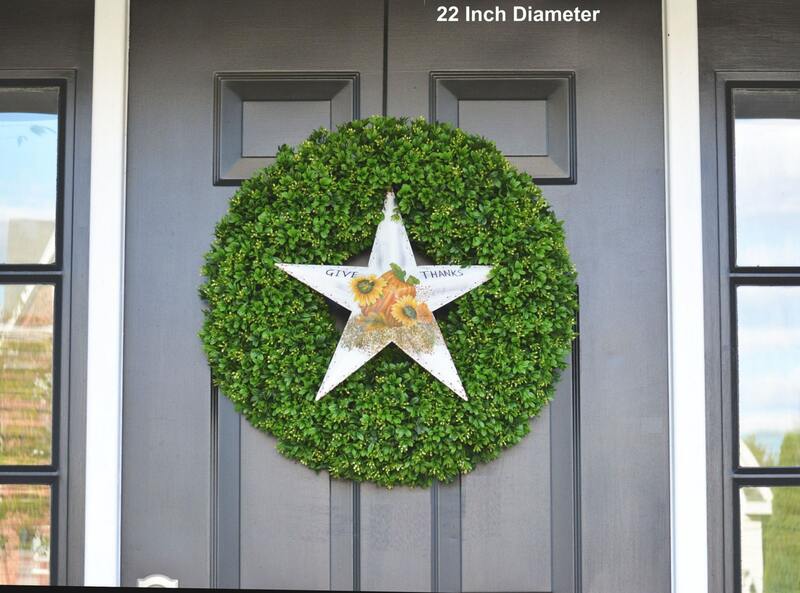 The diameter of my wreaths measure from tip to tip of the edge of the boxwood material. 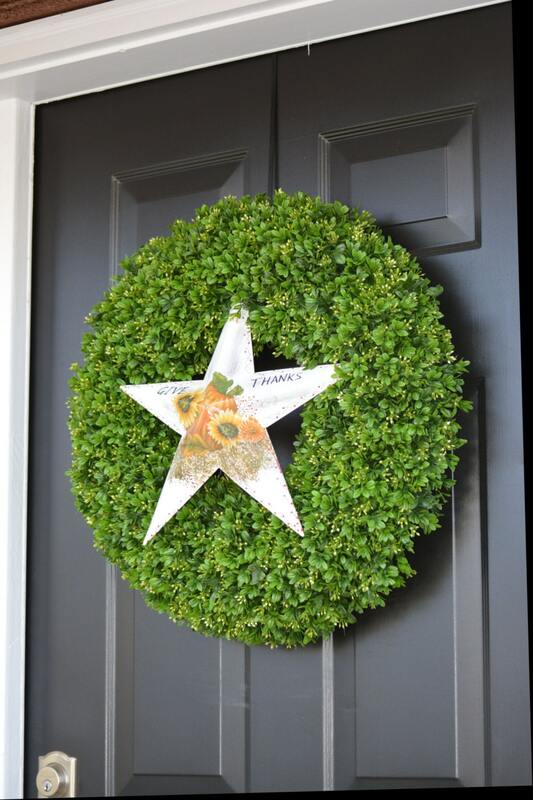 My boxwood wreaths are thick, full and are 5-6 inches deep.